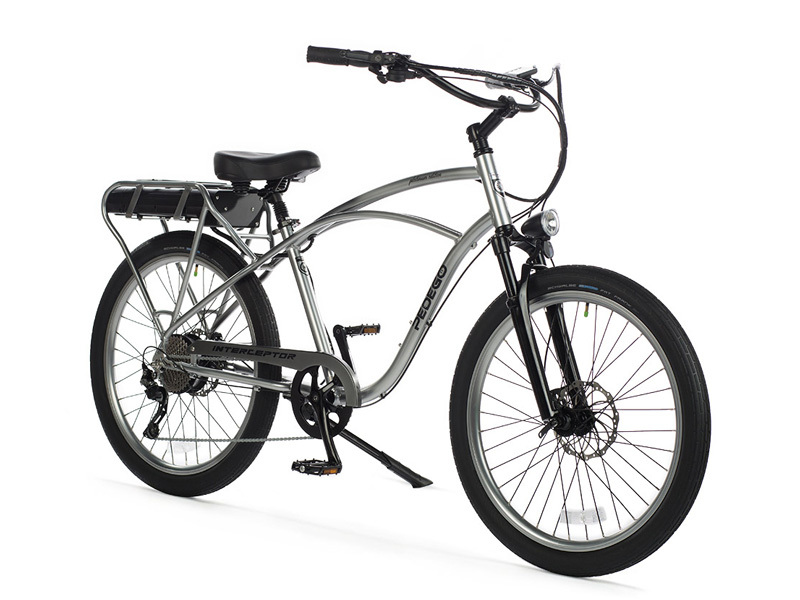 Interceptor Classic High Step | Greenpath Electric Bikes | Electric Bikes For Sale in NYC and Brooklyn, NY. Free Delivery in the US! A sturdy, powerful cruiser style electric bike with large 500 watt geared motor and 48 volt Lithium-ion battery. Balloon tires, comfort saddle, suspension seat post and oversized handlebars create a relaxed upright ride. Excellent warranty and support, available in a smaller "Miniceptor" size as well as the traditional large, features integrated lights and reflectors for safety, rear-heavy design.